We’ve had a lot of talented people share their expertise at the Habitat X events. Each becomes an integral part of the Habitat X network. And this is a critical part of what makes the experience so powerful for everyone: No one is just an attendee at Habitat X, because everyone is a participant. Jacques Touillon is the Founder and CEO of Airboxlab, a startup dedicated to health and wellness in the built environment. They are the makers of the Foobot indoor air quality monitor. With a background in both communications and environmental management, Jacques is well positioned to have an impact on the emerging market of connected devices for home-performance. Read Jacques’ interview at Greentech Media. Ryan Miller is the founder and executive director of the North Carolina Building Performance Association. He’s widely recognized as powerful and effective aggregator of people and resources, and he has built an organization in North Carolina that’s having an increasingly relevant national impact. His experience runs deep — he’s also done stints with the Georgia Building Performance Association and with Advanced Energy. Megan Carroll was a recipient of the 2018 Habitat X Fellowship. With a ton of experience in the sustainable and renewable energy industries, she has definitely earned a place among industry movers and shakers. Formerly the manager of Sustainability and Green Building at NAHB — the National Association of Home Builders, she now lives in Washington, DC. Sam Myers is a freelance marketing and training consultant. He currently represents Retrotec, Inc. by managing trade shows, conducting field studies, and serving as a field consultant. He’s also spent several years as a building scientist with Advanced Energy — one of the most respected efficiency consultancies in North America — where he managed field operations for SystemVision and served affordable housing developers that included Habitat for Humanity. He holds a Master of Science degree in Sustainability from East Carolina University, is a certified HERS rater, and is a licensed real estate broker. Sam lives in Raleigh, North Carolina. Sam is a recipient of a 2018 Habitat X Fellowship. Steve Baden is the Executive Director of RESNET — the Residential Energy Services Network. Widely regarded as one of the main movers in the residential energy efficiency field, he’s been at the head of RESNET since its inception and he ran a state energy office for ten years. Among other accomplishments, he was recently awarded a “Lifetime Achievement Award” from the U.S. Department of Energy. Larry Zarker has been involved with the world of home performance for most of his career. From a start at research center of the National Association of Home Builders (NAHB), he’s now the Executive Director of the Building Performance Institute (BPI). Larry brings an important perspective to our discussions: with his years of experience on Capitol Hill, he has a strong sense of when to use political solutions, and when to rely upon private industry. Larry lives in Washington, DC. Michael Freedberg is currently the Senior Advisor for Energy Policy and Climate Change in HUD’s Office of Economic Resilience, created by the Obama Administration to support sustainable community development, climate adaptation and resilience, energy efficiency, and green building. Previously he was Director of Affordable Housing Technology Research in HUD’s Office of Policy Development and Research, and chaired the Department’s Energy Task Force, which coordinated the agency’s efforts to reduce HUD’s $5 billion energy bill. Michael lives in Washington, DC. Ed Matos has accumulated an impressive record of achievement in the home performance industry. With a background in sales and sales management, he recently closed a total of more than $4M in home performance retrofits, and managed a team of four salespeople achieving $8.5M in annual home performance sales. Ed is a ‎Regional Sales Director at BrightCore Energy, and the proprietor of Competitive Advantage Consulting. His current initiatives include producing The Home Performance Sales Manual, a practical textbook on the language, psychology, and management of sales for the home performance industry. Ed lives on the north shore of Long Island, New York. Ed is a recipient of the 2016 Habitat X Fellowship. Ed and Habitat X Fellows Michelle Nochisaki and Griffin Hagle are the founders of Brighter Energy Collective. Griffin Hagle is a long-standing supporter of Habitat X. He’s been involved in weatherization and home performance since 2006, currently as the executive director of the regional housing authority in Utqiaġvik, Alaska. He’s also worked as a utility program consultant for Richard Heath & Associates, conducted hundreds of energy audits for SolarCity, and trained auditors throughout Alaska, Oregon, and Southern California. Griffin was the recipient of the 2015 Habitat X Fellowship and is the current editor of the Habitat X Journal. Lotus Grenier Gleason is an up-and-coming architect from the Bozeman offices of Love Schack Architecture. Primarily active in designing primarily residential structures, her stated approach is to, “value architecture as a collaborative process that can positively impact the people and places it serves.” She also has a strong background in the trades, having worked as a sculptor, carpenter, and contractor. Lindsay Schack is a co-founder of Love Schack Architecture in Bozeman, Montana. She has built a career as an architect and educator that leverages her knowledge of design with a background in psychology and research. In addition to private practice, she teaches at Montana State University’s School of Architecture in design and research seminars. Her firm is deeply involved in Passive House design and training. Dan Maksymiw is a Deputy Director of Weatherization at CEDA — the Community and Economic Development Association in Chicago. He’s a solid building scientist and an experienced trainer, traits which always give him a respected place at the table in any gathering of Habitat Xers. Among other acts of community engagement, Dan provided solid audio-visual support for the 2018 conference. Jack Duffy is the marketing coordinator for Retrotec. With a strong background in both marketing and business, he’s well qualified to help move the home performance industry towards wider adoption. He lives in Everson, Washington. John Pady is long-standing supporter of Habitat X. He’s the director of the energy conservation program at CEDA: Community and Economic Development Association of Cook County. He’s also worked in a workforce development capacity for the Albany Park Community Center in Chicago. He also has years of experience in the construction and telecommunications industries. Kevin Brenner is the president of Brenner Builders and Healthy Home Energy & Consulting in upstate New York. With a highly successful construction firm in place, he has for several years now been focused on crafting healthy and sustainable existing homes, and two-prong approach that gives him a lot of industry credibility. Kim DeVoe is an energy services engineer with the City of Fort Collins municipal utility. He has built an entire career around the construction and efficiency industries, and on both the commercial and residential sides. He’s also well-versed in renewables, is a certified inspector for plumbing, wiring, and building systems — and has done a stint as a real estate appraiser. Finally, he’s currently focused on helping the City of Fort Collins win the Bloomberg Mayors Challenge. Kim clearly has the commitment and background to join the Habitat X network at the highest level. Rachel Hicks is a year-round staff member for Habitat X, and manages many of the daily operations during the Summer National Conferences. She’s the proprietor the Rachel Hicks Design studio in Bozeman, Montana, and she comes to Habitat X with a long history of work in graphic arts, organizational development, and event planning. Colin Genge is the founder of Retrotec, Inc. Recently retired after decades of service in the organization, he’s widely regarded as one of the world’s foremost experts on the science and practice of measuring the integrity of air barriers in buildings for home performance, fire control, and clean room applications. Colin has provided solid support for the Habitat X initiative for years now. He lives on a houseboat in Vancouver, British Columbia. Colin is a supporter of a 2018 Habitat X Fellowship. Rick Blumenthal has been involved in the housing industry for his entire career. Educated in Environmental Conservation and Planning, he has spent the last half of his career focused on producing high performance sustainable buildings. In 2010 Rick was chosen as the Lead Energy Advisor and Technical Specialist for the RePower Bainbridge Energy Challenge, and he currently serves as a Building Performance Specialist for Knauf Insulation. Rick lives in Bainbridge Island, Washington. Read Rick’s article in the Habitat X Journal. Joe Medosch is a healthy building specialist for Hayward Score. He’s also the proprietor of Energy & Environmental Consulting LLC, and the founder and former executive director of HHEA, the Healthy Home Environment Association. Joe is a master trainer and technical wizard across much of the home performance field. He has been a building contractor since 1990 and a Comfort Consultant trainer since 2003, providing solutions for healthy and energy-efficient home performance. He lives in Atlanta, Georgia. Joe holds the distinction of having designed his own personal typeface and font, even hand-grinding the characters of an old Underwood manual typewriter. Read Joe’s article in the 2014 Habitat X Journal. Wayne Hartel is the assistant manager of the DOE weatherization program for the State of Illinois. In this capacity, he manages both technical and policy issues with DOE sub-grantees and industry stakeholders. He’s currently stretching the boundaries of typical weatherization work by seeking DOE approval for solar pilot projects on multi-family buildings. He’s also done a long term of service with the State Energy Office of Illinois. He lives in Springfield, Illinois. Mick Prince is the state manager for the Illinois Weatherization Program. Mick started in energy efficiency as a crew leader at a local agency, moved on to the state level as a technical training specialist – at present he manages one of the largest weatherization programs in the country. Mick is an avid woodworker and punk rock enthusiast living in Alexander, Illinois, population unknown. Charles works as a widely respected consultant to the US utility and energy-efficiency industries. Before his recent retirement, he spent several decades with PG&E in California, where he founded, managed, and supervised the operations of workforce education and training programs for the PG&E Training Centers. He was also instrumental in developing the HVAC Big Bold Initiative, and was the 2011 recipient of the Affordable Comfort National Leadership Award. Charles resides in Sonora, California. Amy Sheppard provides operations support for the Habitat X conferences. She’s also a Donor Relations Manager for The Nature Conservancy Montana. Amy has worked with organizations as diverse as science centers, art museums, guest ranches, and eco-tourism companies, with work venues that include Denali National Park, Hudson Bay, Colombia Ice Fields, Glacier National Park, Yellowstone National Park, the Grand Canyon, Paris, Prague, Monte Carlo, and the Danube, Rhone, and Seine Rivers. Amy lives in Bozeman, Montana with her husband Chris Dorsi. She’s the co-author of the acclaimed cookbooks New West Cuisine: Fresh Recipes from the Rocky Mountains, and Sweet Treats from the Wild West. Rob Howard works as a performance manager with Mitsubishi. He’s also put in his time as an successful HVAC contractor and as a trainer for NAHB. With a background like this, Rob gained enough field experience to make him an expert on quality HVAC installation. He lives in North Carolina. Chris Dorsi is the founder of Habitat X. He’s spent the last 40 years developing best practices for the housing industry, writing and publishing respected books and technical curricula, running successful construction companies, and working as a real estate developer. He’s currently serving as the Director of Building Science Initiatives for the Montana State University Extension Service in Bozeman, Montana. Chris is the co-author of Residential Energy: Cost Savings and Comfort for Existing Buildings, the Homeowner’s Handbook to Energy Efficiency, and other respected titles on sustainable design and construction. Chris’ upcoming book, Human Habitat, is due on the shelves in 2018, and reports from the intersection of housing, culture, and environment. View or download Chris’ CV in English or Spanish. See a few of Chris’ publications at Amazon.com. See how Chris’ publications are used by the U.S. Department of Energy. Don MacOdrum is a senior project manager at Senior Project Manager at TRC Companies, where he helps the Northwest Energy Efficiency Alliance (NEEA) and Energy Trust of Oregon deploy their high performing new homes programs and initiatives. He also served for six years at the executive director of the Home Performance Guild of Oregon, a consortium of organizations that work to educate and serve consumers, contractors, and policymakers, and one of the most respected trade groups in the North American home performance industry. Don lives in the garden city of Portland, Oregon. “We are a digital army of marketing and development professionals with diverse backgrounds who work every day to find germane solutions to the challenges within the building performance sector. Today, we support 350 of the most successful home performance contractors, HVAC companies, sustainable architects, and low-energy builders across 49 US states. Peter recently joined us as a guest for the Habitat X webinar The Evolution of Consumer Values and Expectations. Tom White always lends an important perspective to Habitat X, coming from the world of publishing, community development, and small business. He’s a serial entrepreneur with 30-plus years of start-up, management, marketing and editorial experience in health, energy, environment, and scholarly trade sectors. Somewhere in his long resume is also a stint with Stuart Brand and the ultra-creative publishers of the Whole Earth Catalog. Tom lives in Berkeley, California, where he’s a developer of affordable single- and multi-family housing—he’s also known as the guy who saves threatened homes by moving them to new locations. Tom is the Energy and Sustainability Manager for Eden Housing, and is the former publisher of Home Energy Magazine. Tim Hanes is the president at Energy Stewards International. ESI develops energy efficiency programs and software solutions for utility-sponsored residential and light commercial HVAC programs. Their flagship customer is the HVAC SAVE program currently sponsored by MidAmerican Energy, Alliant Energy, Black Hills Energy, and Cedar Falls Municipal Utility, all coordinated by the Midwest Energy Efficiency Alliance. Cassandra Fricke is the Deputy Director of the weatherization department for CEDA, the Community and Economic Development Association of Cook County. In this capacity, she manages one of the largest weatherization programs on the planet. She’s also worked as the training manager and as the manager of the Residential Energy Assistance Challenge (REACH) pilot program for CEDA. Among all these responsibilities, she recently completed a Masters in Social work. 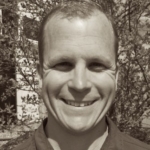 Jason Heaton is a principal with Osprey Building Performance in Boise, Idaho. With a journeyman background in the HVAC industry, he has parlayed his experience and acumen into one of the region’s most respected home performance companies. Paul Raymer is a technical specialist at ICF Consulting, a widely respected international consultancy that has deep roots in the efficiency industry. He’s also the founder of Heyoka Solutions, a provider of technical services to the construction industry. He’s always had a deep focus on ventilation solutions for the home performance industry, and is the author of at least 15 publications, the Residential Ventilation Handbook and Residential QCI Handbook among them. Paul is also an IREC Master Certified Trainer. Terry Nordbye has spent much of his life developing practical and realistic ways to integrate home performance into mainstream construction. Terry’s current focus is to develop durable and effective air-sealing systems that do not rely on the use of liquid foam, though this is just the tip of the iceberg for what we’ll learn from this veteran of the housing industry. Terry is a regular contributor to the Journal of Light Construction, and he recently completed the first new construction Passive House in California with a pending LEED Gold certification. He lives and works in Inverness, California. Nate Adams is the proprietor of Energy Smart Home Performance. He has made a study of selling home performance, and he’s good at it not because he’s a talented building scientist (which he is), but because he’s a good psychologist who knows how much information to dish up to the buyer. He recognizes that people buy things for emotional reasons, and not usually because they are fascinated with science and technology. Perhaps we could all learn a thing or two from Nate’s example. Read Nate’s article in the 2014 Habitat X Journal. Tiger Adolf has been been a major player in the North American home performance industry for years now. With an education in both law and agriculture, and a background in permitting and compliance, she has put solid service as the Executive Director of the Wyoming Energy Council and as the leader of Program Design and Market Development for the Building Performance Institute. She currently serves as the Director of Operations for UtilityExchange.org. Tiger resides in Vallejo, California. Steve Malon has spent his entire career perfecting the art and science of insulating and air-sealing buildings. He has not only built a successful business to deliver those services, but he has become a widely respected technical trainer, too. Steve is the president of HPIP, the High Performance Insulation Professionals. He works out of Rapid City, South Dakota.